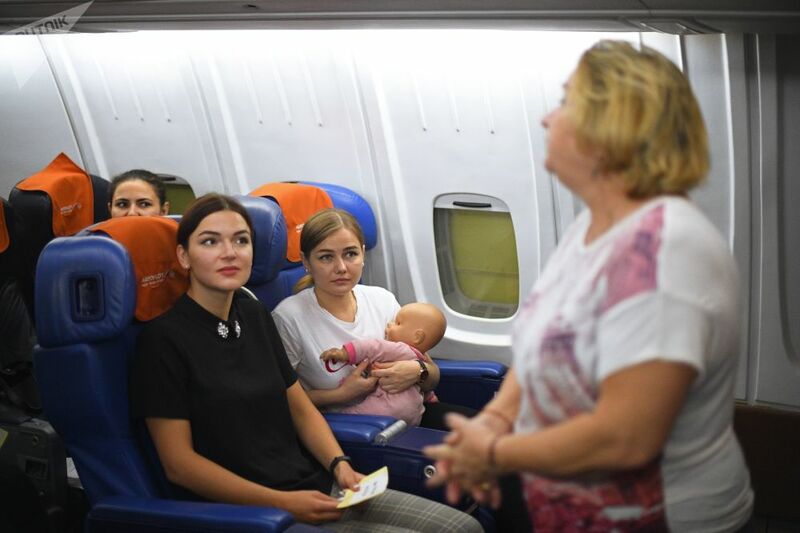 Aeroflot flight attendants Anastasia Belousova, Nikita Duka and senior flight attendant Maria Trofimova (left to right) at Sheremetyevo Airport. 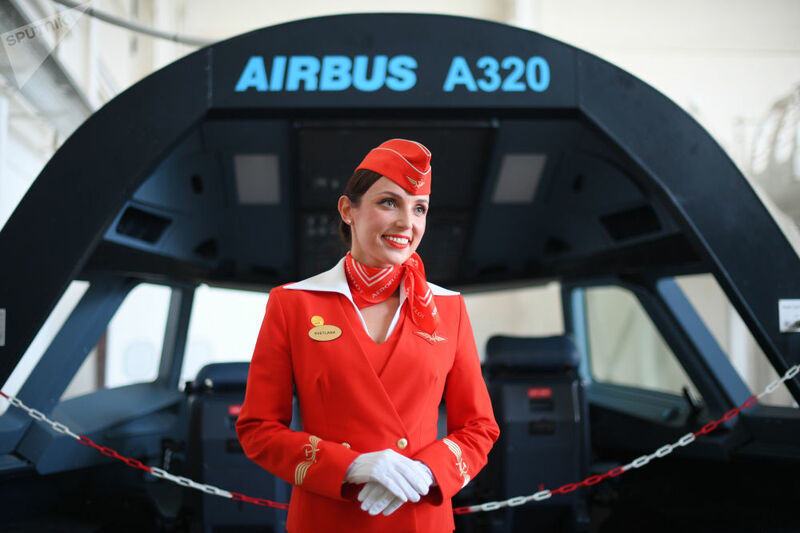 The main task of a cabin crew is to do its best to ensure that passengers on board are comfortable while at the same time monitoring the implementation of safety rules on the plane. Initially it was the second pilot who was responsible for guaranteeing the comfort and safety of passengers on board. However, this was considered dangerous from the point of view of safety. 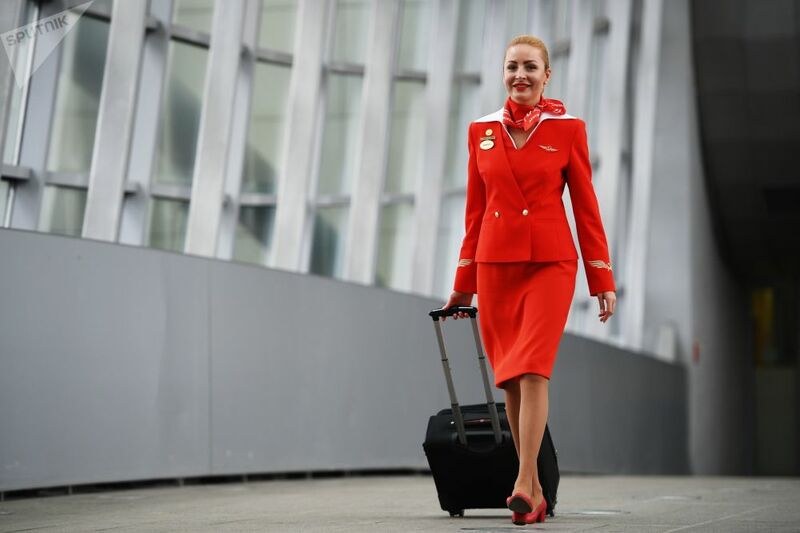 In 1928 in Germany, a third member was added to the cabin crew, known as a flight attendant. Two years later, a passenger air service in the United States came up with the idea of hiring attractive young women to attend to passengers. In the early days, the price of air travel limited the market for flights to mostly male business travelers. In addition, women weighed less and any extra kilogram makes a huge difference during the flight. Sputnik offers you a glimpse into the process of training flight attendants at the Russian airline Aeroflot.